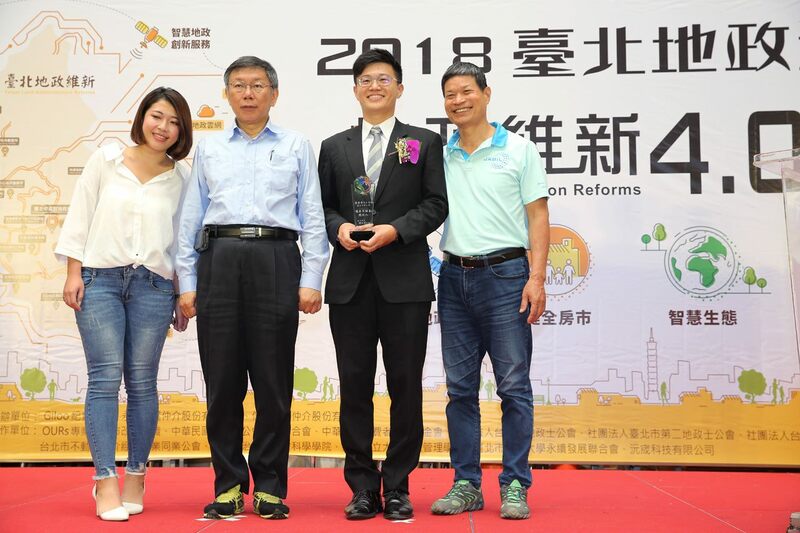 Mayor Ko Wen-je attended the “2018 Taipei Land Administration Week – Land Administration Reform 4.0” exhibition at city hall on November 6. The event also featured an award presentation ceremony to honor judicial scriveners, property appraisal personnel, and real estate agents who showed outstanding performances. During his address, the mayor lauded the efforts of the Land Administration Department (DOL) in implementing reforms in the field of land administration. Hopefully, through the organization of Land Administration Week, the public will have a chance to further understand how land administration affairs affect their life. Citing the three elements of a nation being land, people, and government, land administration affairs are important duties for both the central and local authorities. Over the past 4 years, DOL has made smartization its priority, and the public will have a chance to learn more about the agency’s achievements during the week-long activity. The 2018 Land Administration Week consists of 28 activity sessions. In addition to the exhibition, there are also classes and seminars for those interested in the topic. The mayor remarked that having open access to land administration is a good thing, hoping that data transparency will make housing prices more reasonable. Information transparency, transaction security, and reasonable prices and taxes are important policies helping to make the real estate market more stable.